For a Touch of Sweetness, Add Hearts! 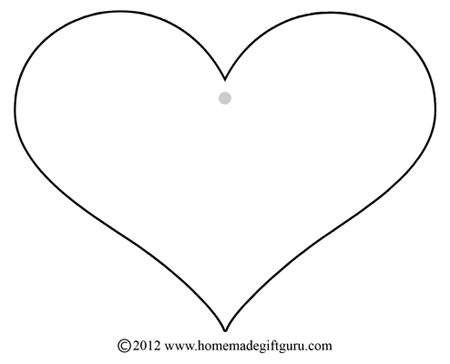 From my heart to yours, here's a few free gift tags to add even more heart to your homemade gifts! 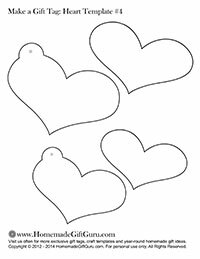 From Valentine's Day to thank you gifts... these free printable gift tags, in the shape of various traditional and whimsical hearts, can be used to add a touch of sweetness to any gift. 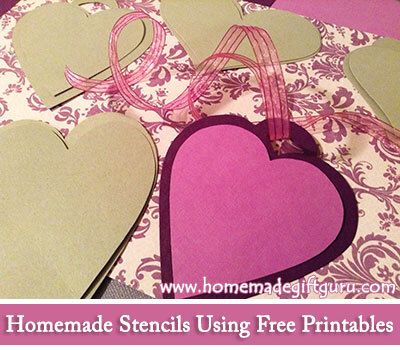 You can print them directly onto the paper of your choice... or use them to make your own stencils like I did below! They make especially sweet gift tags for homemade Valentine gifts, wedding gifts, anniversary gifts, Mother's Day gifts, thank you gifts and baby shower gifts. I admit it! 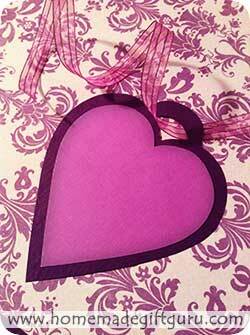 ...Hearts find their way into my homemade gifts, craft projects and homemade greeting cards often. It's not because I'm a girl, not just because I have kids... hearts are what giving is all about. They are a natural fit for anything homemade. 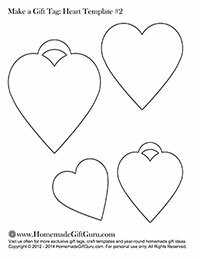 So, if you're like me, you might want to turn these free gift tag templates into heart shaped stencils to use over and over, as needed. Make them from Card stock. 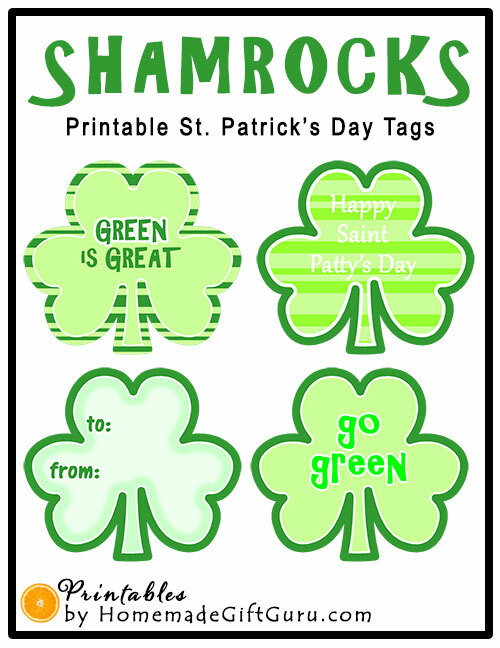 If you have card stock around, you can print these templates directly onto card stock and cut them out for instant templates. 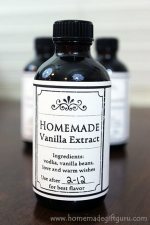 If you don't have card stock, try this... Bonus: They will be extra sturdy! Make longer lasting templates from paperboard (such as a cereal box). 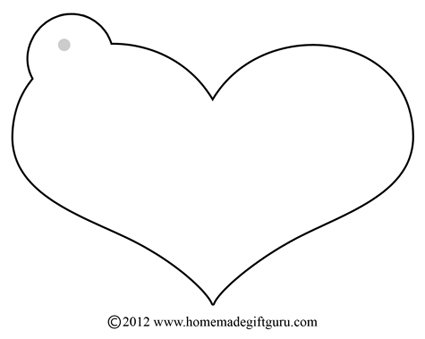 Print the templates on card stock or regular printer paper. Cut them out. Then trace them onto a piece of card board or paper board, such as a cereal box. 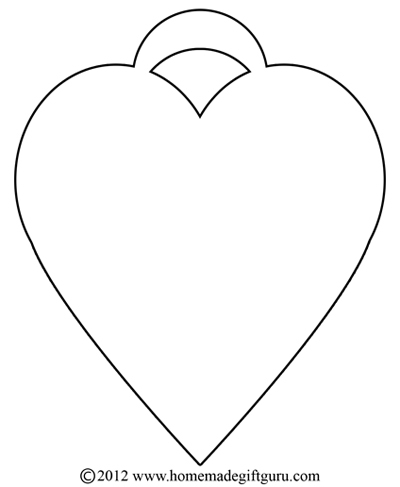 Once you cut them from that, they will be nice and sturdy... ready to help you with heart crafts for a very long time! To print one heart... The tags on the left are simple to print. Simply right click on the tag you want to print and choose [print picture]..... or [save image] if you can't print picture. If you have to save image, save and then open in the program of your choice and then print. 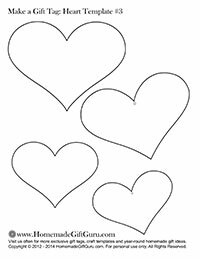 To change the size... you can copy the heart and paste into a word processing program such as Microsoft Word or Open Office. 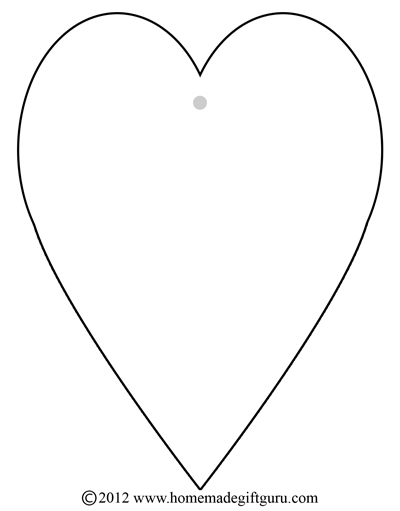 Once there, you can resize your heart as needed. To print one of the pages to the right... 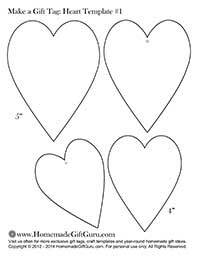 The pages to the right are full page .pdfs and include two heart templates in different sizes along with two slightly bigger templates to be used for backings. 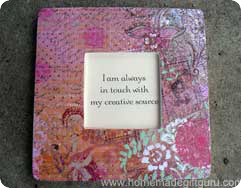 Click on the page you want to print and another window will pop up with a full size printable. 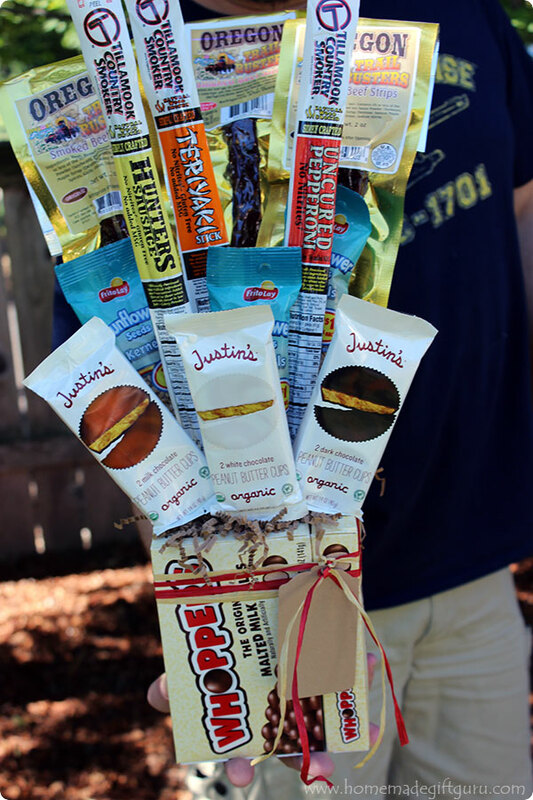 This homemade gift was a hit with my mom! 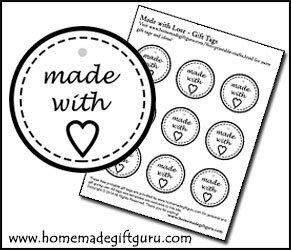 Print Your Own Made with Love Tags!